7 Lessons from Top 100 Apps: What Does an ASO Optimized App Look Like? This week we have a guest post written by Ashley Sefferman. Ashley is Head of Content at Apptentive, the best in-app communications software for publishers. A mobile marketing and content strategy enthusiast, she writes about mobile engagement, customer loyalty, and making the mobile world a better place for people. Follow her on Twitter: @ashseff. 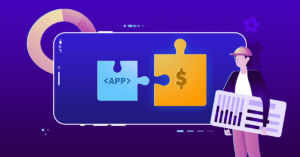 With tweaks to the App Store and Google Play ranking algorithms occurring weekly, keeping up with the latest App Store Optimization strategies can be a challenge. Strategies like keyword stuffing that once epitomized ASO are becoming less and less effective, while new strategies like contextual keywords and engagement marketing are now integral factors in determining your rank. What can we use as a reference for a well done ASO? What does an ASO optimized listing look like? While neither Apple nor Google announce or detail their algorithm changes, publishers can keep up with ASO trends by looking at the Top Charts: the apps that historically rank toward the top of the overall charts or for a specific keyword search. Typically with a high volume of downloads and ratings to secure their coveted rank, these have the most stability in the app store ranks. In other words, we expect the apps in the top 10 to be the same one month out as they are today, as we’ve seen in our own deep dives. That’s why any sudden activity in the Top Chart rankings requires a little more consideration. Seeing a top app makes a considerable jump in rank, especially when it has not just released an update, is more often than not an indication that there has been a significant change to the ranking algorithm. At the same time, these apps, often backed by multinational companies, are among the first to spot the change and the first to tweak their ASO strategy to return to their original rank. Hoping for a little inspiration, we combed through the top 100 apps in both the Apple App Store and the Google Play Store to identify a few optimization trends common along the top-ranked apps. Top apps grab people’s attention by offering a compelling icon right away. Icon is one of the first major points a user will see as they debate whether or not to download, so making a good icon impression is key to driving a high number of organic downloads. Once upon a time, keyword stuffing was a great way to rank highly in the app stores. But the stores caught up to this black-hat tactic, and keyword stuffing is now punished in ASO in the same way SEO keyword stuffing was punished years ago. As a best practices, it’s important to stay away from keyword stuffing in your app’s title and description, and instead, provide readers with the content that will give them the best experience in deciding whether or not to download. Speaking of keywords, it’s still important to have your dominant keyword in your title if you want to rank highly in the app stores. This may seem like a no-brainer for most, but many app marketers still debate whether or not to include the keyword they’d link to rank highly for in their title. Based on our research, it’s always a good idea to make sure it’s included when optimizing for organic downloads. If more people are downloading and using your app regularly, you’re going to rank higher in the stores. Based on our recent research, 95% of the top 100 Android apps have over 1M installs, giving them the advantage they need to rank highly. Downloads and usage are a huge trust signal that the stores take into consideration in the top charts, so boosting your download count and MAU is key to success. Top apps are updated regularly, with many being updated at least once a month in order to provide customers with new content, features, promotions, experiences, and more. Keeping your app’s content fresh is also a great way to re-engage users and drive retention, which is important to keep in mind as you plan your app’s update schedule for the upcoming months. Similar to ratings, reviews are a huge trust signal when people debate whether or not they’d like to download an app. From our research, 70% of people read at least one review before downloading an app. Additionally, 75% of our survey respondents identified reviews as a key driver for downloading an app, and 42% view reviews as equally or more trustworthy than personal recommendations. If you app does not have recent, highly-rated reviews, it’s time to go back to the drawing board and improve your customer feedback channels (and implementation strategies). All apps are different, but the psychology behind what draws people to download apps is very much the same across store categories. If you’re looking to increase your organic downloads and app store search visibility, following the seven points above will help get you there.